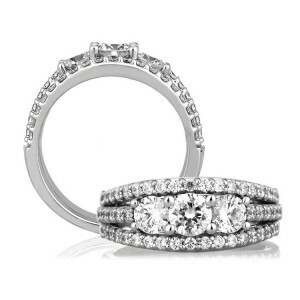 Price ranges reflect the amount of diamonds, metal selection (Platinum,18 Karat or 14 karat) and variation of design. A. JAFFE does not sell directly to the public. A. JAFFE is a designer and manufacturer of rings, fine jewelry and accessories. All of our jewelry is distributed to the public exclusively through authorized A. JAFFE Retailers. TQ Diamonds is a premier authorized retailer, and we are more than happy to assist you with sales, pricing and service.